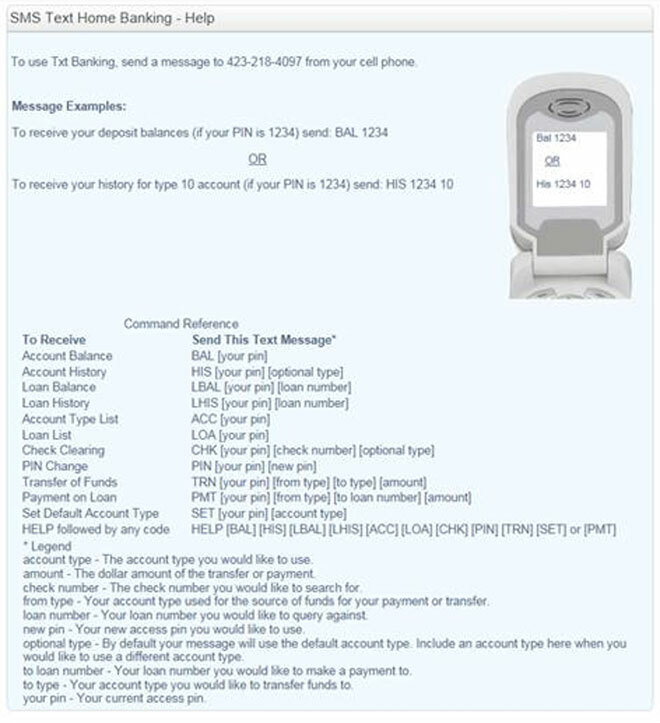 Text banking can be set up by clicking on the TXT Banking Setup link in your home banking account and entering your mobile number. After signing up and setting up a pin number, you will receive shortcuts to begin using text banking. To initiate a TXT Banking session, send a message to 423-218-4097. Click on the Show Help link to see the commands and instructions listed below.